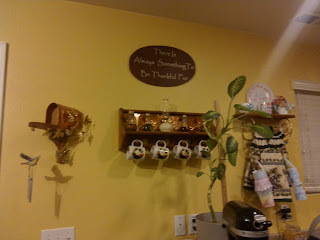 The Juggling Homemaker: There's always something to be thankful for.....right? There's always something to be thankful for.....right? 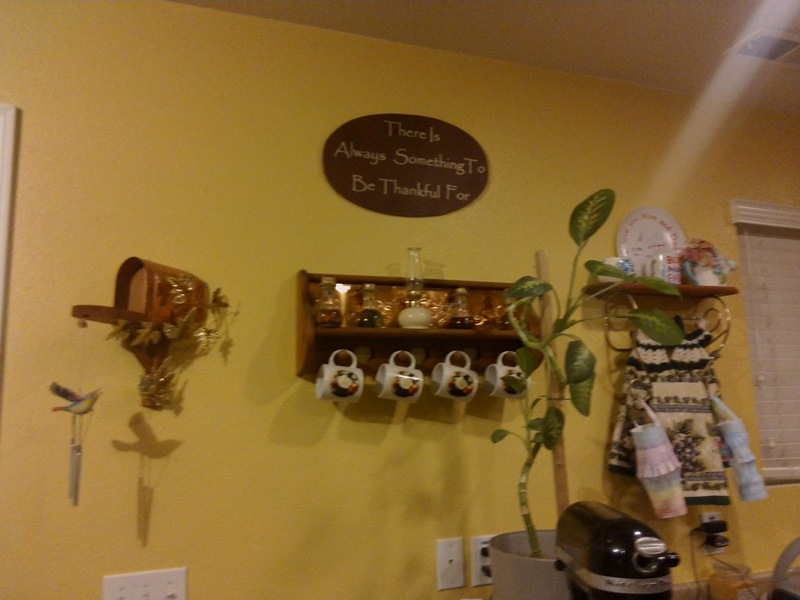 I have this plaque in my kitchen that I bought to remind myself that despite the trials in my life, I always have something for which I can be thankful. We've had a lot of trials in the last month that have had me repeating that mantra over and over again. Some days I sound more convincing than others. I know everyone has their own difficulties going on in their lives, and that I'm certainly not being picked on (even though I might claim I feel that way on those truly awful days. Haha!) I decided I needed to call myself to task about this when I found myself talking to a very good friend about why I've been so anti-social lately. I told her I didn't want to make anyone else feel miserable by being around me during this very trying time. I'd rather just stay home, be with my family and stick my nose in a book that I know ends with a happily ever after! She had some encouraging things to say, but I was being bull-headed and didn't listen the way I should've. Thinking back over it though, I realized I need to pay more attention to those blessings in my life. So despite the fact that our tank went out on our filtration system, and the sprayer is leaking on our drip line in the garden (again) and the recirculating pump broke on our water lines, my CPU went out on my laptop, our Health insurance went up nearly $100 a month (while the coverage went down) and our AC went out during the peak temperatures of summer--I need to remind myself how fortunate we are. For one, I'm married to a plumber, so we only have to pay for parts on those plumbing issues. Two, we have wonderful friends who have helped us with our AC issues multiple times and only charged us for parts and donated their time. That's no small thing. Three, I have a home to live in. 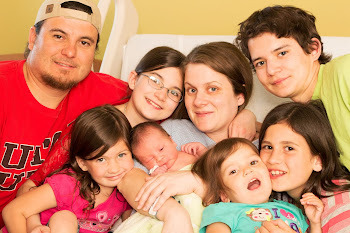 Four, I have a beautiful family. Having come from a....dysfunctional background, I know this is among the best of my blessings. Without my family I would be lost. And then, I have a Heavenly Father who loves me. Yes, I know He loves me. It might be something I struggle to remember when I'm in the middle of a rather nasty trial, but ultimately, I know it's true.